come with a helicopter and a limousine. 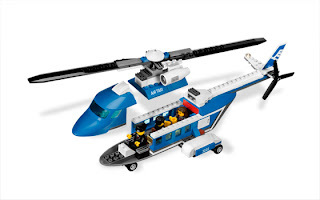 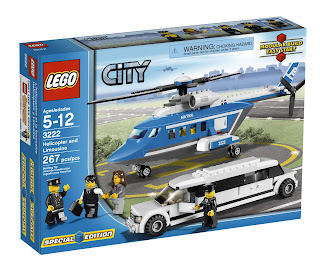 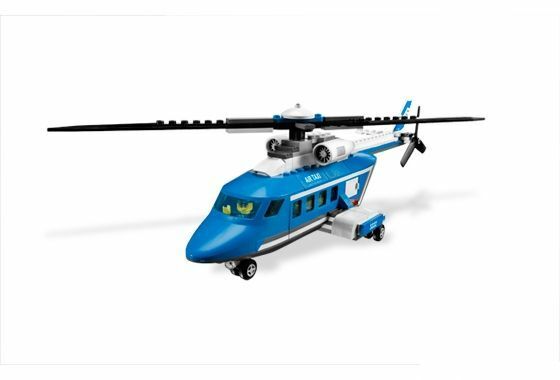 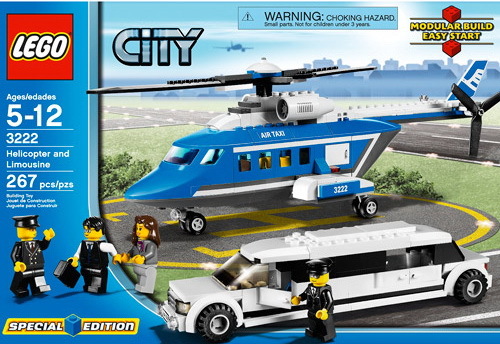 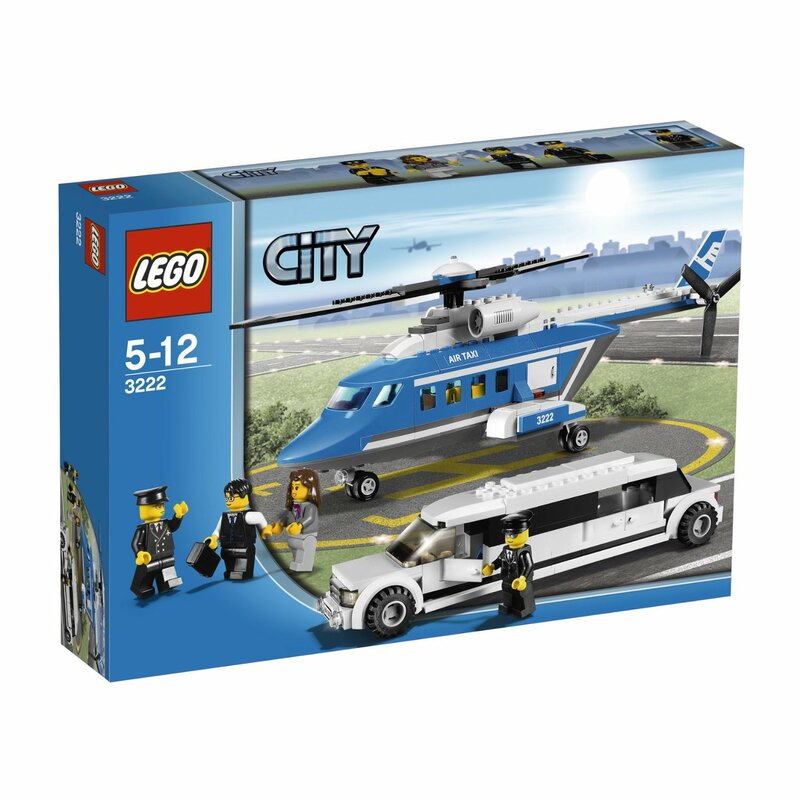 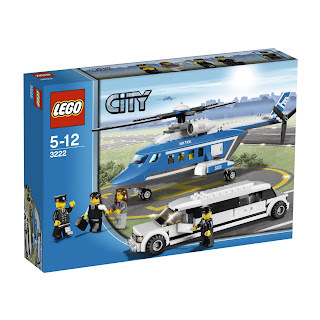 the helicopter can seat for 3 minifigs. 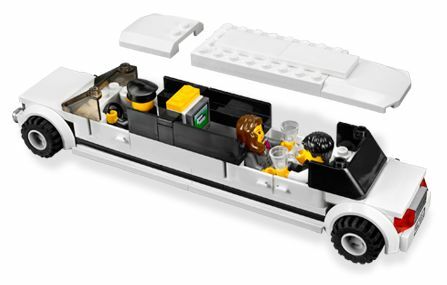 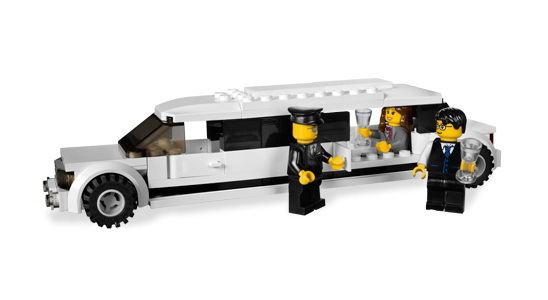 the limo can seat for 3 minifigs. 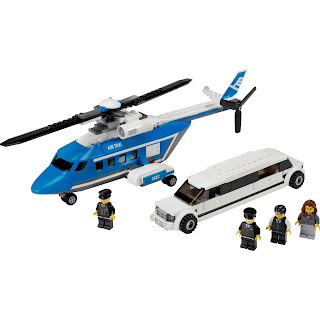 minifigs included a pilot minifig, a driver minifig, a male minifig and a female minifig.